With all the rain, ice, snow and just all together cold weather recently here in North Carolina, we have been enjoying a fair amount of soups and chili. 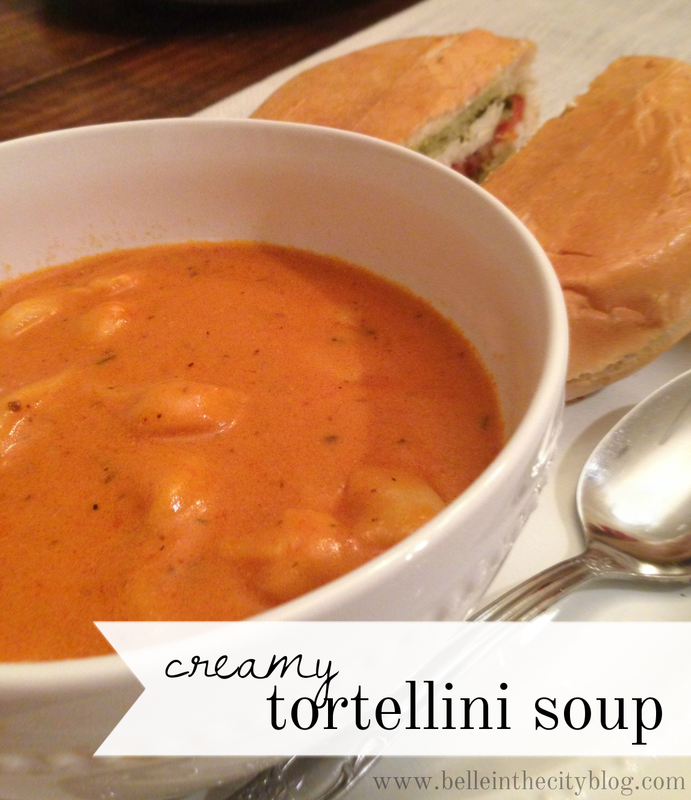 There is nothing better on a cold day than a warm bowl of creamy soup, and today I'm sharing with y'all one of my favorite recipes for creamy tortellini tomato soup. It is super easy to fix and is ready in no time! Sautee garlic with olive oil in large pot until browned. Then add tomato soup, paste, half and half, chicken broth and spices. Bring to simmer and slowly add tortellini to soup. Cook tortellini according to directions on the package..about 10-15 minutes. Let simmer for a bit longer and then serve and top off with shredded parmesan. this looks sooo good ! I am going to try that! Looks so yummy! Ooh that looks absolutely delicious! I am definitely going to have to try this. yum! What a perfect dinner soup. Thanks for sharing, this looks delicious! Can't wait to try it!